SHREVEPORT, La. 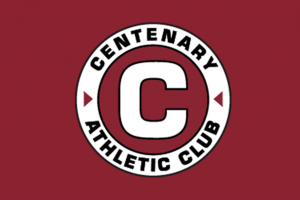 – The Centenary College Development Division and the Athletic Department announced the formation of the Centenary Athletic Club (CAC) Monday, February 19. According to Centenary President Dr. Christopher Holoman, the CAC’s goal is to enhance the relationship between the College’s athletic programs and its alumni and friends. The CAC is also charged with increasing the level of financial support for the College’s athletic programs. Centenary Athletics also announced a partnership with Shreveport-based architectural firm Somdal Associates who will assist the athletic department in creating a plan for the development of outdoor facilities. With the CAC, athletic teams participate in fundraising projects for their sport along with projects which benefit all sports, such as the current project to upgrade the athletic weight room. For more information on the CAC and the individual team’s fundraising projects, visit centenary.edu/cac. Rob Rubel ’01, a past President of the Centenary Alumni Council, has been chosen as the first board chair of the CAC. Athletic fundraising projects have already been underway during the past year. In the spring of 2017, the Ladies Softball team and both Centenary Soccer teams raised money for new scoreboards at their respective fields. Centenary Golf teams, in conjunction with head coach Emlyn Aubrey, secured funding to install the state of the art Hal Sutton Golf Performance Center. The Center includes a putting green, a swing analyzer, and the ability to play a computer simulation of more than a dozen golf courses around the world. Bunnell also announced the addition of former Gents basketball great Robert Parish to the NCAA basketball Division I record books for the 2018-19 season and beyond. Due to a decision on his eligibility based on an NCAA bylaw active in the early 1970’s, Parish’s statistics were not acknowledged by the NCAA. Following an appeal filed by Centenary College in 2017 to the NCAA Media Coordination and Statistics Staff, the NCAA has decided to include his statistics as a footnote to any career and single-season statistical category applicable to Parish. Those categories include total rebounds, total double-doubles, and consecutive double-doubles. Parish will also be acknowledged as a member of the 2,000 points, 1,000 rebounds club. View the press conference photo gallery.